Current Profession: Director of Marketing & Development, Kansas City Pet Project. Bio: Tori joined the shelter team in March 2012 – shortly after the organization took over the Kansas City, MO, animal shelter in January 2012. Tori’s role with Kansas City Pet Project has enabled her to build the organization’s brand and promote its mission from inception to what it is today. 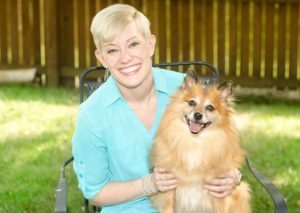 She enjoys the opportunity to promote KC Pet Project and its pets through social media and in print, radio and television appearances on a local and national level – including The Huffington Post, CBS News, USA Today, and The Rachael Ray Show.